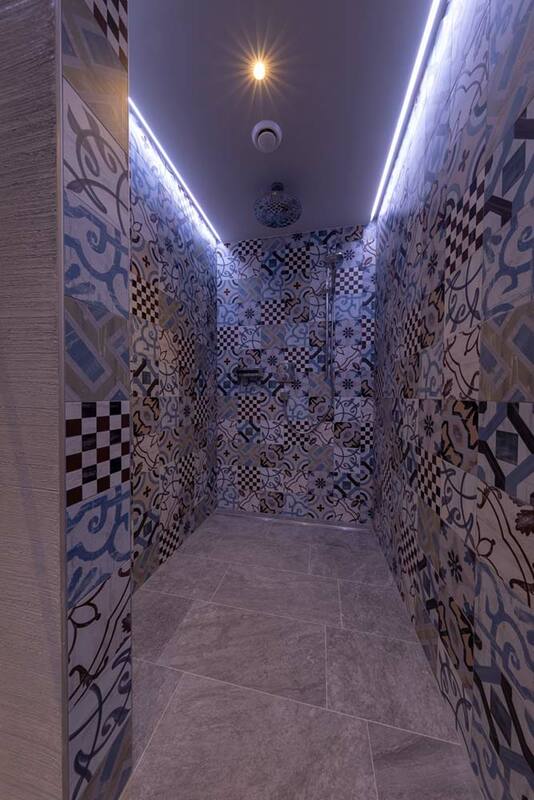 Our new spa area takes you to a world of happiness. It is the break your body and mind need after an eventful day on the mountains. 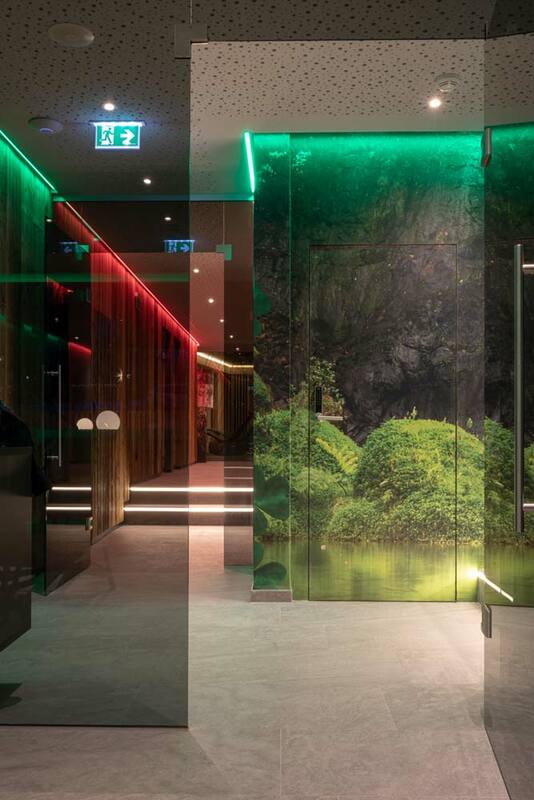 In the spa area you can either recharge your batteries or get your circulation going again. 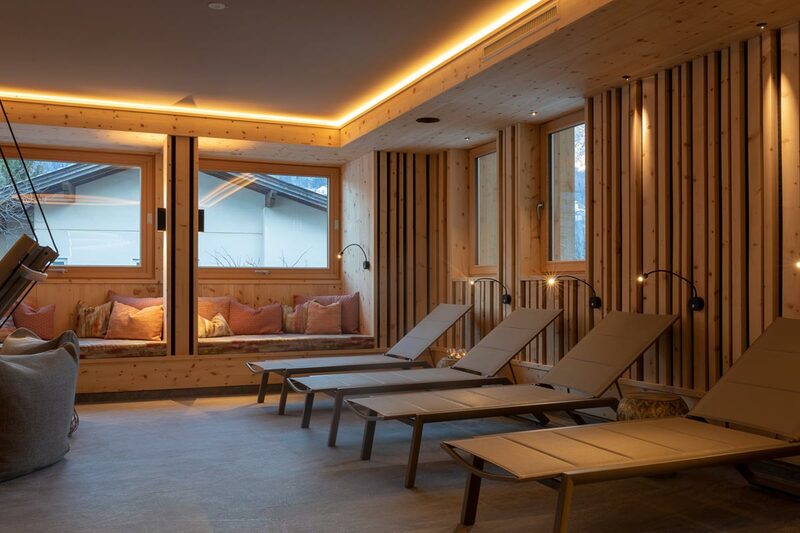 A wonderfully designed Finnish sauna and an organic herbs sauna with hey flowers and Swiss pine offer a dreamlike panorama view on the width of the valley and the golf course. 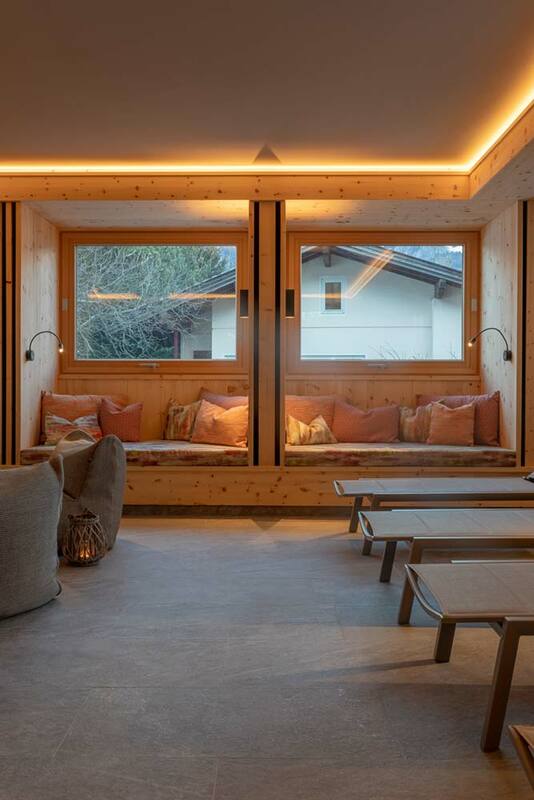 The relaxation room made of Swiss pine is reservedexclusively for adults who seek silence and peace. There are numerous comfortable day beds. Therelaxation area at the pool can also be used by children. 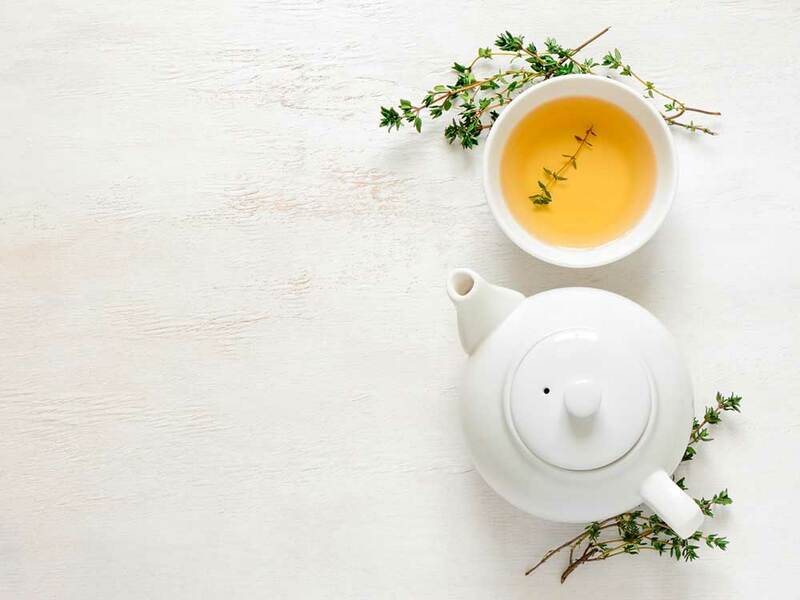 A tea bar serves tasty refreshments. A Finnish sauna with a wonderful design. 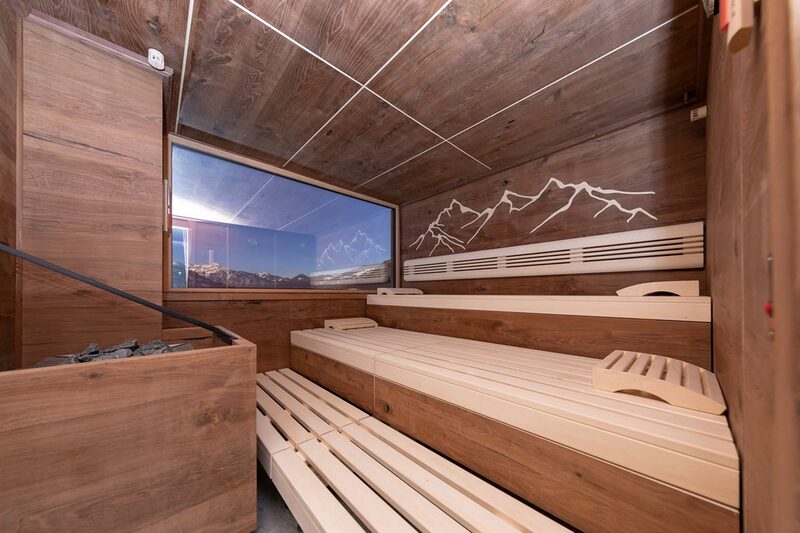 An organic herbs sauna with hey flowers and Swiss pine offers a dreamlike panorama view on the width of the valley and the golf course. 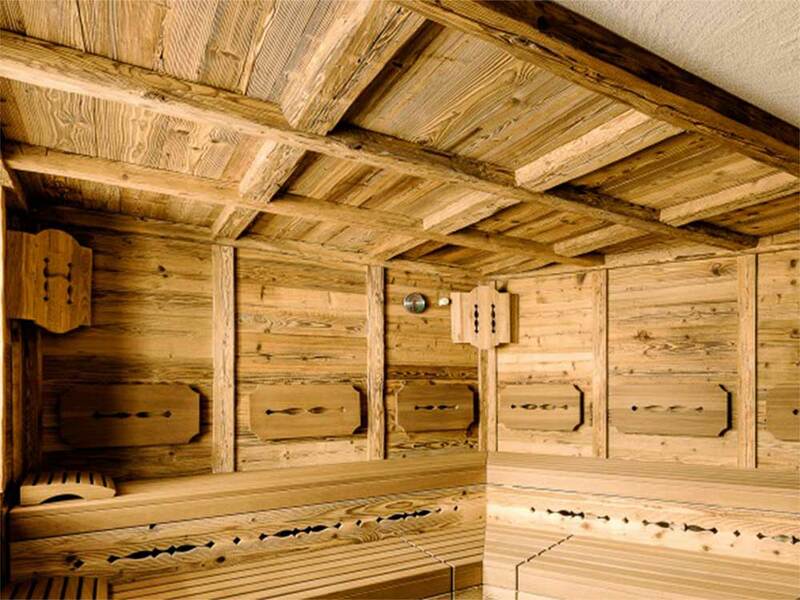 The relaxation room made of Swiss pine is reserved exclusively for adults who seek silence and peace. A vitamin bar serves tea, nuts and refreshments. 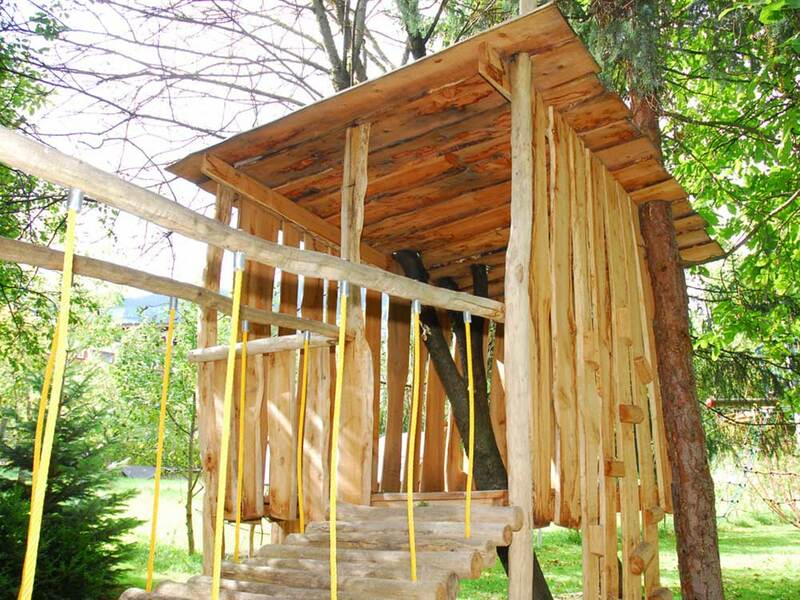 A textile sauna made of old wood can also be used by children. You can enjoy our huge garden full of trees. We also created some peaceful spots for you in the garden either close to the playground or further afar. We also created some peaceful spots for you in the garden either close to the playground or further afar. 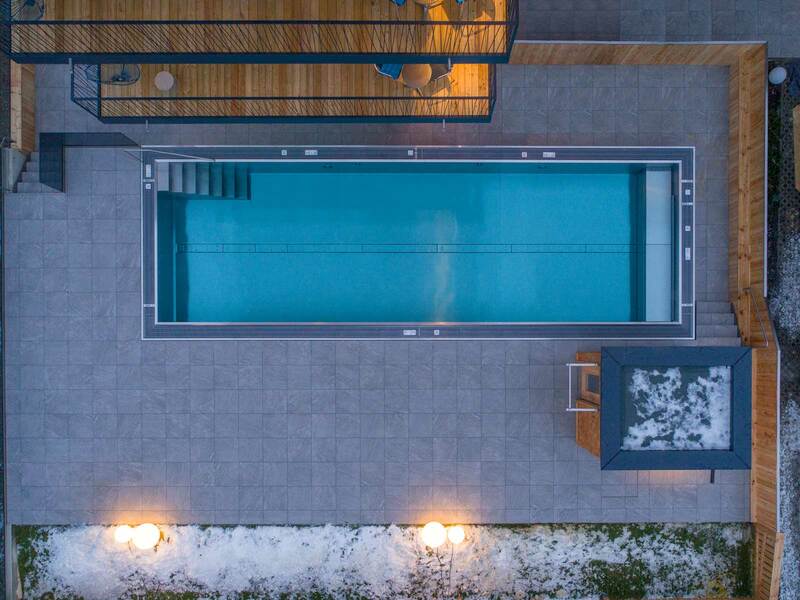 The new heated panorama pool is large in size. You will feel weightless and you can enjoy the view in the open air which is quite impressive when it is snowing. 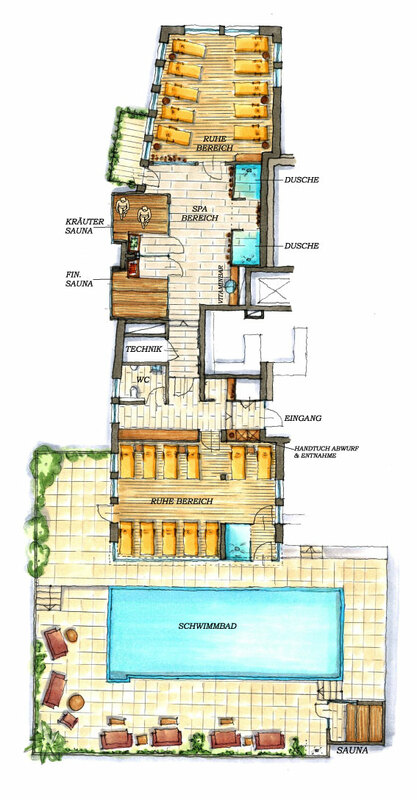 Close to the pool there is the textile sauna which can be used by the whole family. 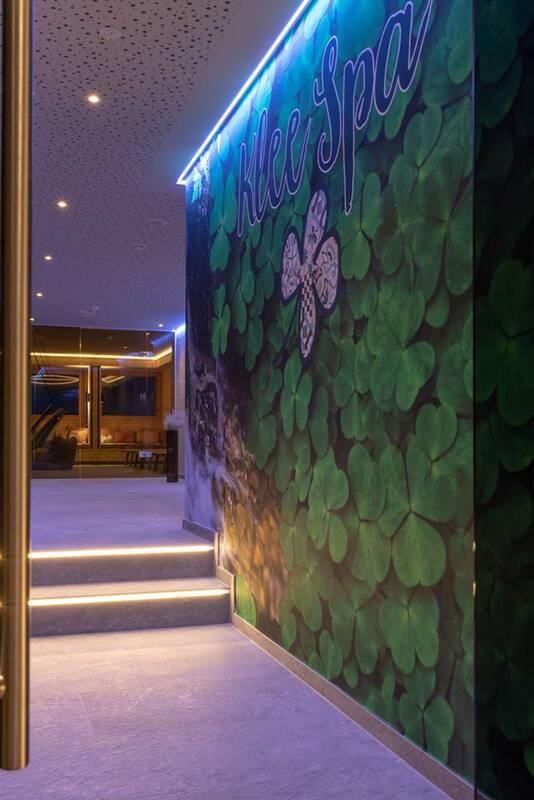 all-year: from four p. m. to half past eight p. m.
Underneath there is an outline of our spa area.